Register for a new account using your email address - it's FREE! If you love to play football with your mates, but struggle to get everyone organised each week, then Are We 10 is for you. Set up your game in seconds, invite your friends and let us take care of the rest. Make sure you have the right numbers. No more shall you be 4 v 5 with a rush goalkeeper. If you are struggling for numbers, no fear just add in some ringers and invite your other friends! Keep track of the bibs and the balls. 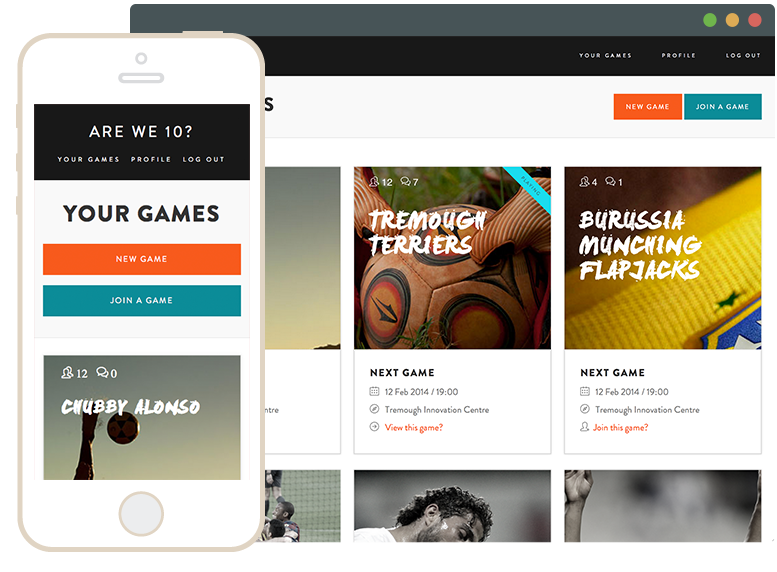 Sign up via your mobile and play more football. Its so simple. Sign up via facebook, twitter or email. 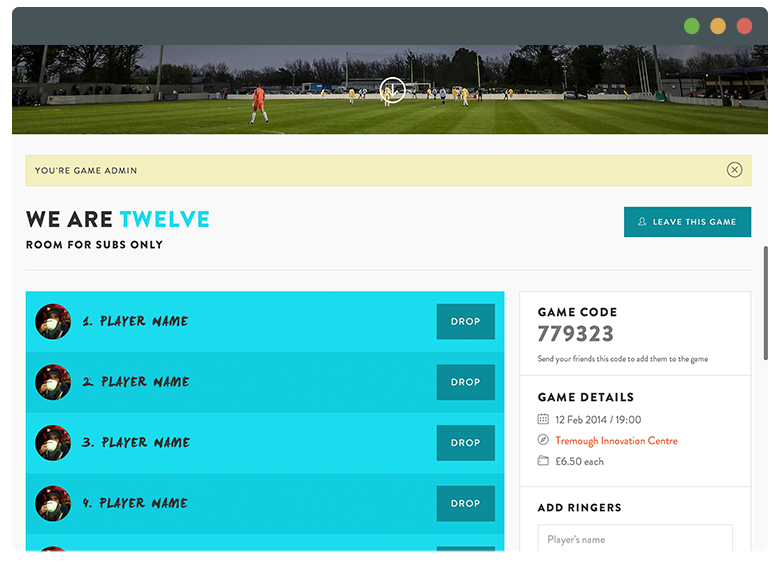 Create your game and share the code amongst your team. Then each week sit back and watch the game take control of itself, are we ten yet? Available on your phone or the desktop, not missing that game has never been easier. With SMS support coming soon too!